I. Introduction. This Notice of Privacy Practices describes how Concord Orthopaedics Professional Association may use and disclose your protected health information to carry out treatment, payment or health care operations and for other purposes that are permitted or required by law. It also describes your rights to access and control your protected health information. Protected health information (PHI) is information about you, including demographic information, that may identify you and that relates to your past, present or future physical or mental health condition and related health care services. • request a restriction on certain uses and disclosures of your information as provided by 45 CFR 164.522. Please note, however, that we are not required to agree to a restriction that you may request. If we believe it is in your best interest to permit use and disclosure of your health information, we will notify you that your request for restriction will not be honored. If we agree to the requested restriction, we may not use or disclose your health information in violation of that restriction unless it is needed to provide emergency treatment. We reserve the right to change our Notice of Privacy Practices and to make the new provisions effective for all protected health information we maintain. Should our Notice of Privacy Practices change, we will provide you with a revised notice. We will not use or disclose your protected health information without your authorization, except as described in this notice. IV. Examples of How We Will Use or Disclose Your Protected Health Information (PHI). The following are examples of the types of uses and disclosures of your PHI that we are permitted to make. Treatment: We will use and disclose PHI to provide, coordinate or manage your health care and any related services. For example, we may disclose PHI to your primary care physician who referred you to us, to other physicians who may be involved in your health care, and/or to a physician to whom you have been referred for further management of your health care. In addition, we may disclose PHI to other health care facilities, such as your local hospital, to coordinate diagnostic testing or surgery, or to a physical therapy or home health agency to coordinate your follow-up care. Payment: PHI will be used as needed to obtain payment for services that we provide to you. For example, we may disclose PHI to your health insurance company and its representatives for reimbursement purposes and to determine eligibility for services such as office visits, diagnostic studies, surgery, etc. Healthcare Operations: We may use or disclose your PHI as needed to support our own business activities. These activities may include quality assessment, training and supervision of staff members, or other business activities. For example, we may share your PHI with third party business associates that perform various services that are essential to the operations of our organization, such as billing services. We will limit the amount of PHI that we provide to the minimum necessary to accomplish the particular task and we will have a written contract that contains terms that will protect the privacy of your PHI. In addition, we may use or disclose your protected health information to provide you with appointment reminders or information about treatment alternatives or other health-related benefits and services that may be of interest to you. VII. Uses and Disclosures of Protected Health Information Based upon Your Written Authorization Other uses and disclosures of your protected health information will be made only with your written authorization, unless otherwise permitted or required by law as described in this notice. You may revoke this authorization at any time in writing, except to the extent that we have already relied upon your authorization in making a disclosure. VIII. For More Information or to Report Complaints If you wish to exercise any of the rights outlined in this notice or if you have questions and would like additional information, you may contact our Privacy Officer at Concord Orthopaedics, 264 Pleasant Street, Concord, NH 03301 / (603) 224-3368. If you believe that your privacy rights have been violated, you may file a complaint with our Privacy Officer or with the Secretary of the United States Department of Health and Human Services. 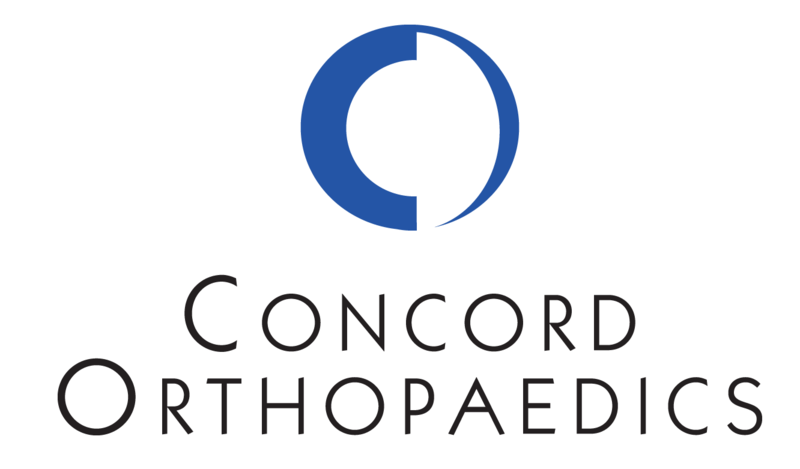 Your right to do so is respected by Concord Orthopaedics Professional Association and you will experience no adverse consequences by doing so.